In the past, Chester has held the positions of Vice President and Director. Chester was Principal of Laurel High School, Superintendent of Milford School District, a charter member and past President of the Laurel Lions Club, past President of the Milford Rotary Club, a charter member of Shawnee Country Club, and won several state men's bridge tournaments with his partner Governor Elbert Carvel. 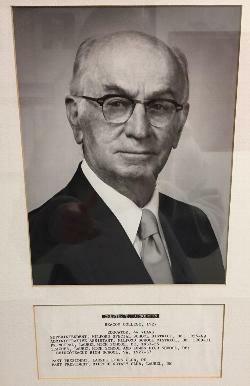 He is recognized as a "Distinguished Alumni" by Goldey-Beacom College and is the namesake of the Chester T. Dickerson Sr. Memorial Scholarship.